Another VHS gem that I scored for 99 cents. The guy who directed this movie, which should basically be called “What if Johnny-5 from Short Circuit Wanted to Kill Us All?” went on to direct some abysmal Hillary Duff movies that blow worse than this. I watched like one minute of the trailer for one, so I can stand behind the preceding statement. Evolver’s plot could actually be the plot of a children’s movie and work just fine. A nerdy, friendless computer geek uses his hacking skills to win at a laser tag videogame and he scores a free robot (Evolver) with whom to play laser tag-like games with in real life. He never saw Weird Science so he didn’t know that hacking leads to abominations of technology. The robot looks just like Johnny-5 only clunkier and shittier to fit this clunkier, shittier film. Each time the robot is defeated, it used super-advanced AI to “evolve” and deduce the vulnerabilities of its opponents so it can hopefully exploit weaknesses and win the next round of game play, kind of like an ex-girlfriend. Evolver is programmed to never lose, so it starts using weapons to murder the children who try to play with it, believing this is the only way to truly “win.” Some weapons are improvised while others have been inside of Evolver all along including a flamethrower and some serious hydraulics. This results in some hilarious B-movie kills as Evolver starts assuming every person with whom it comes into contact is an “opponent”. There is always some monotone robotic narration preceding the kill. My favorite is when a jock gets a metal ball shot through his skull at 100mph while he fucks with Evolver in the locker room. Maybe you are wondering why the robot, that some nerd won because he’s a nerd, has super-advanced artificial intelligence, sci-fi style weapons systems, and homicidal programming. After you have been wondering that for most of the movie, the little boy computer nerd starts wondering too and goes to the Cyberdynesque company called Cybertronix that created Evolver. Turns out, there is no conspiracy, just human incompetence. 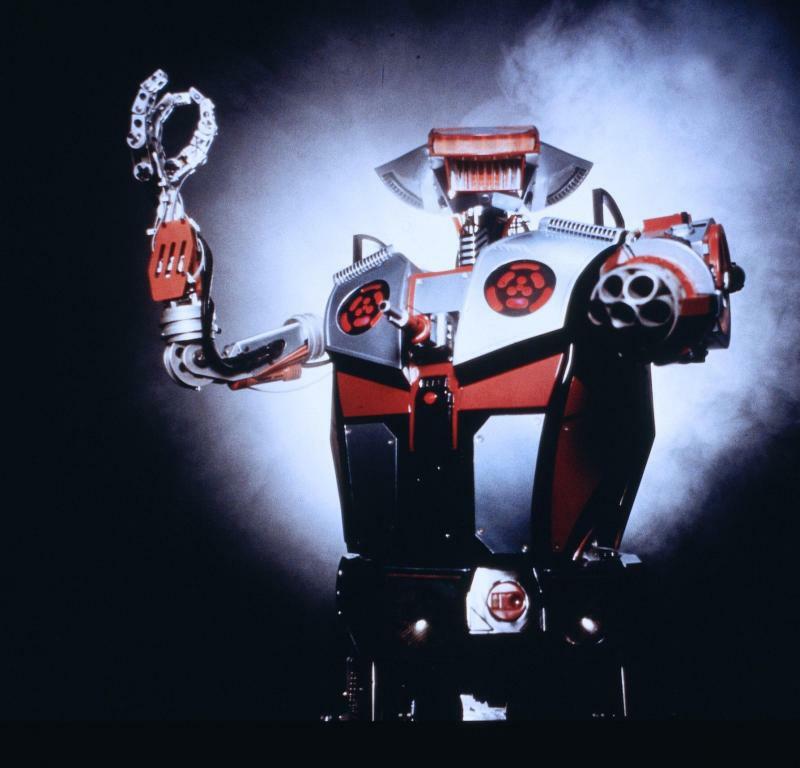 The super-powerful killer robot was just an accident. “Okay, thanks!” the nerd basically says and then he goes home to battle Evolver. Then there are lasers and a final battle. The kid does the Fistful of Dollars trick. There is some very physics-defying destruction and an abrupt end. This movie reeks of 1990’s clichés, so prepare yourself; cowabunga, dude. All in all pretty entertaining.